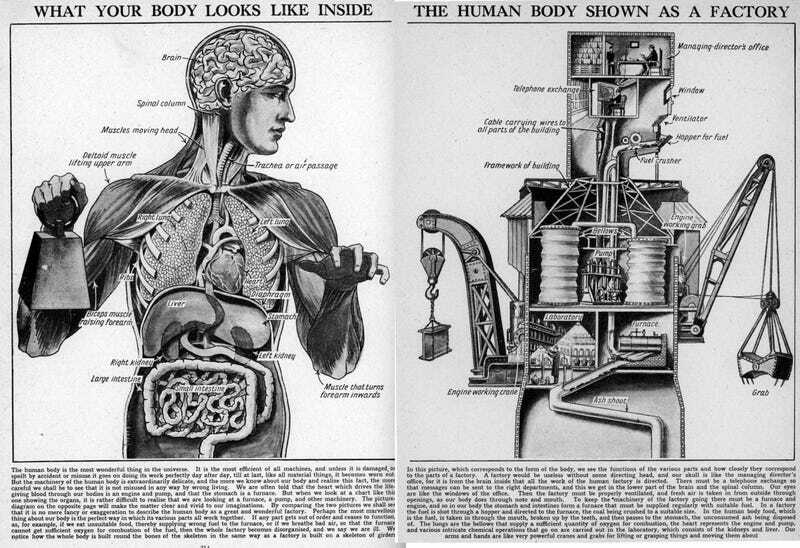 Once upon a time it was quite popular to depict the human body in terms of machinery. The idea was that all of the functions and organs of the body could be equated on a one-to-one basis with machinery and technology: the eyes were cameras, the lungs bellows, the arms derricks, etc. The result was scores of books featuring some pretty bizarre illustrations. A sample of these will speak for themselves. The last gasp of the human-body-as-machine was probably the classic Bufferin ads of the 50s and early 60s.